Image courtesy of Taseko Mines. That case, a defamation lawsuit, was launched by Taseko after the company claimed The Wildnerness Committee allegedly made defamatory statements in articles posted on its website. The articles claimed the open-pit copper and gold mine would turn nearby Fish Lake into a "dump site for toxic tailings," according to a report by The CBC. The non-profit environmental group says it was founded in 1980 and has a mission "to protect Canada’s life-giving biological diversity through strategic research and grassroots public education." According to the CBC the group posted two more articles after Taseko filed the claim, in which they accused Taseko of initiating a "Strategic Lawsuit Against Public Participation (SLAPP)" lawsuit, which is a type of lawsuit aimed at silencing opposition. Taseko claims it was further defamed in those articles. In his 2016 ruling, Justice Gordon Funt sided with The Wilderness Committee and awarded the group costs. The lawyers fees must be adding up for Taseko, which in February was in court trying to resurrect the project that has twice been rejected. The Vancouver-based company appeared in Federal Court asking for a judicial review of the federal government's decision to reject, on environmental concerns, the New Prosperity Mine project located 125 kilometres from Williams Lake. The $1.5-billion project was approved by the B.C. government but Ottawa turned it down twice, in 2010 and 2014, on the advice of the Environmental Assessment Agency. 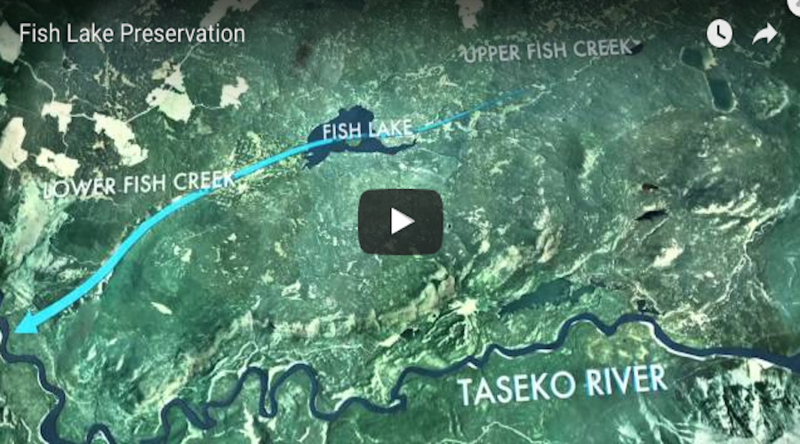 The first rejection was based on Taseko's plan to drain Fish Lake and use it as a tailings impoundment. The company later revised the mine plan to avoid using the lake but it was again rejected on environmental concerns. Taseko said the findings were flawed and relied upon the wrong tailings storage facility design.